Best of the Best! 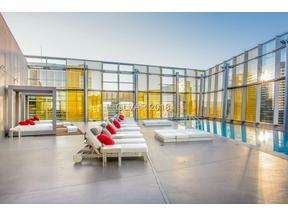 One of a Kind Top Floor Custom Penthouse Built from Grey Shell to State of the Art Masterpiece. Every inch of this Architectural Dream Penthouse Exhibits attention to Fine Detail and Composition. Outfitted with an Unforgettable Blend of Style, Quality and the Highest Finishes with Incredible Bellagio Fountain Views. Offered Turnkey and Fully Furnished.